"Everyone is extremely welcoming and friendly." "Very friendly, competent, and knowledgeable about what they're doing." "Dr.Eng is great and her whole team is very polite and accommodating." 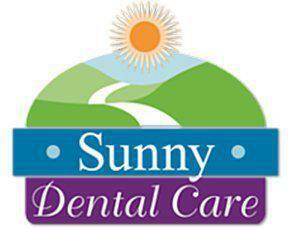 "I highly recommend Dr. Eng!" Deeply committed to her patients’ health and well-being, Dr. Eng participates in continuing education activities throughout the year to ensure she can offer the most innovative and advanced care options. Dr. Eng uses advanced dental technology for treatments and provides her patients with the information they need to understand their care, every step of the way. Dr. Eng is a board-certified diplomate of the American Board of Dental Sleep Medicine, and specializes in helping people with obstructive sleep apnea (OSA) enjoy restorative sleep using oral appliance therapy and orthodontics. As a sleep apnea dentist, Dr. Eng works closely with sleep medicine physicians and otolaryngologists, and is one of a handful of dentists in New York City trained in the treatment of OSA using oral appliances. When not caring for patients, Dr. Eng enjoys spending time with her family, taking nature walks, hiking, and bicycling. She also enjoys ethnic and regional foods and is an avid fan of Marvel Comics movies. Dr. Eng welcomes the opportunity to serve both new and established patients, and the practice accepts most major dental and medical insurance plans. Our office is conveniently located near Chinatown and City Hall! You can take the following transportation options to arrive at our location.